This is my first bot so all reviews would be appreciated. This is bot for https://www.999dice.com. It supports automatic martingale system (if you lose it will double bet and if you win it will put bet on value you have selected as basic) and it confirms bets every 2 seconds. First load page and log in. Set your bet size MANUALLY! That is very important because if you don't do that your basic bet size will be as it was when you logged in. Then just press "Start Betting" and watch. -Added Reset losing streak textbox. Insert losing streak number and when your losing streak reaches that number it will reset your bet to base. I am not responsible for any losses you may suffer on 999dice.com, this is just helping tool. We have new update released! New download link and virustotal are updated in first post! I can help with the development of this thing. Not bad, keep improving the design! well pretty nice so far i guess... well keep improving will check later on. The bot picks up the faucet satoshis and plays them, is that right? Yes it does that, but it only works if you have less then 999 satoshis. I've been playing around with your bot and I have noticed some strange behavior maybe you will be able to clarify. The bot was left alone just collecting the free satoshis which should stop at 999.... however it kept on collecting after it reached the threshold, I closed the bot and reopened, logged in and the balance was back to 200 satoshis and the faucet was warning me to wait another 8 minutes until I could claim again. This is weird. Problem with collecting BTC from faucet is that it will try to collect even if you have over 999 satoshis. I will try to implement that better in next edition. And about lower balance when you close it. Please notice number of bets before you close the bot. There is possibility that your OS is not closing it properly when you close it and that bot keeps running. To prevent that you can click Stop betting before you close bot. Please try that and reply here to see if it has worked. I am just testing your bot. And I think I know what's up with the disappearing balances: For whatever reason, it does not matter wether the ten minutes are over or if you have more than the maximum claimable free bitcoins in your balance it will allways falsely add the 200 satoshis to your balance. If your bot doesn't mess with the content in the page that is displayed then it is 999dice's API that is broken in that regard. When you then close the bot and load the page in a browser it of course subtracts all falsely added free BTC claims. Maybe you should have a look again at their API and how you make the claims with your bot. Maybe also contact the guys that made the side about it. Other than that it works quite nice. I see what are you talking about. I think I can fix that in my bot. Will keep you updated about that. I wasn't logged in either as was just testing it out. I used this bot a lot but after some time i lost my all money! But anyway it's a very good bot! @XCoinX That could be the problem but I am not sure. Cool, I'm really enjoying using it so far. So far I'm about 40 mbtc ahead - it would have been a lot more but I had a 20 losing streak that wiped me out. That's why I am going to add random gambling options on betting. I am sure that it will lower max losing streak (at least I hope so). This is the error that I get when I hit Start betting. Please tell me how to fix it. This is a software bug. Its a "NullReferenceException" or "null" exception. To fix it, initialize the Button2 in the source code. Any chance to add custom multiplier? How can i modified the bot ? Trying to give Justin a run for his btc? lol jk I'll check the bot out once you have more updates and features. Martingale does work great if you have a large balance with a low base. already trying it overal game 90^ good . failr i dont know much how this website running . so far . fun enough . whether it has been repaired.? I want a auto bet software for 999dice that after two loss in a row return to base . Anyone know where can i find that or how can build it ? This looks really exciting, can I help with development anyhow? Maybe a github repo? Well the bot doesn't claim free btc do u know why? 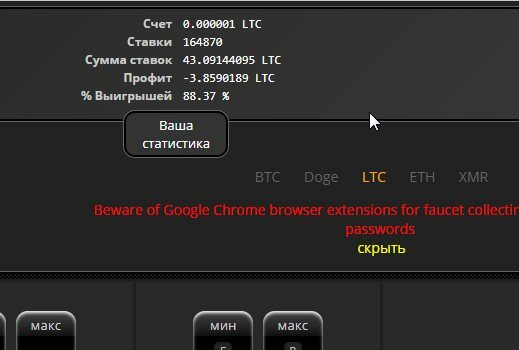 B apxивe ecть кapтинкa info.jpg тaм вce oпиcaнo.